Medicare has quietly expanded its coverage for cancer drugs to include some treatments that haven't gotten the Food and Drug Administration's full seal of approval. The change was announced last summer with little fanfare and took effect in the fall. It means that doctors and patients seeking Medicare reimbursement for certain novel treatments won't have to negotiate with the billing department for payment. 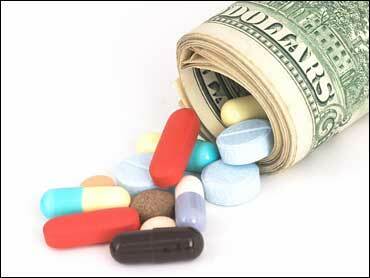 But it's also certain to increase Medicare spending, since cancer medications often cost thousands of dollars a month. "In some instances ... the medical community may have scientific evidence that supports using a drug to treat a disease even if the drug's FDA-approved label does not include those clinical conditions," Medicare explained in a June 5 news release describing the policy. The policy change was first reported Tuesday by The New York Times. Medicare's decision could prove controversial, however. It deals with so-called "off-label" prescribing, a gray area in medical practice and government policy. While the FDA approves medications for specific uses, the agency is not allowed to dictate to doctors how they will practice medicine or prescribe drugs. For example, a doctor can write a prescription for a brain cancer drug and use it to treat kidney tumors. That nuance may mean the difference between life and death for some patients. It's also worth billions to drug companies, although they are forbidden from promoting their medications for off-label uses. Cancer doctors strongly supported Medicare's decision. Off-label prescribing has long been standard practice in their field. "Basically what this means is that there will be faster coverage of evidence-based and appropriate cancer medications for patients," said Dr. Joseph Bailes, a spokesman for the American Society of Clinical Oncology. "It will reduce the hassle factor." But some consumer advocates said Medicare should take a second look at its new policy. "I'm not sure I would say it's a bad thing, but I think it was ill-advised and needs to be re-evaluated," said Steven Findlay, a health policy analyst for Consumers Union, publishers of Consumer Reports. "We think it's better to be cautious. Evidence shows that some of these drugs extend life by a very small amount and at great cost." Medicare's policy change essentially allows its billing contractors to use a broader range of pharmaceutical reference materials in deciding whether or not to approve payment for cancer drug treatment. These reference materials list uses not approved by the FDA for several medications. The editors of the reference collections base their decisions mainly on reviews of scientific articles about medications. But many of the studies reported in those articles are financed by pharmaceutical companies seeking broader uses for their medications. Medicare spokesman Peter Ashkenaz said the decision was not a concession to the drug industry, but a routine update of reference materials. Some of the reference books that Medicare previously relied on were no longer being published. Ashkenaz stressed that Medicare is not obligated to pay for a treatment just because it is listed in the pharmaceutical references. Doctors still have to show that prescribing a given cancer drug is "reasonable and necessary," he said.